How to avoid Over-Charged / Over-Discharged on Batteries. Do Not Mix New / Old Batteries in use. Rechargeable Battery can be repeatedly charged / discharged & recycling. Overall, the use of rechargeable battery power has gone through Lead-Acid Batteries, Nickel Cadmium (NI-CD) Batteries, Nickel Metal Hydride (NI-MH) Batteries, Llithium Batteries, LiFePO4 Batteries, fuel cells and eventually to update the type of battery development. Rechargeable Batteries have standard battery and high drain battery types. Standard Batteries with low discharge current (1~2A) can be widely used on small electronic device like digital camera, remote controller, laptops, Flashlight, GPS, back-up power etc., while high drain battery with much lower internal resistance that could discharge in high drain power rate (10~20A) and normally being used on Power Tools, R/C Hobbies, eBike…such typical heavy load, powerful and high performance device. As rechargeable batteries have different capacity, charging time depends on charger’s charging current and battery capacity, higher capacity battery needs longer charging time. It is very important to re-charge the battery with correct parameter as charging voltages are different on different battery chemistry. Batteries can not discharge below the off-voltage as it may get over-discharged then the battery cell becomes irreversibly damaged, or even destroyed. 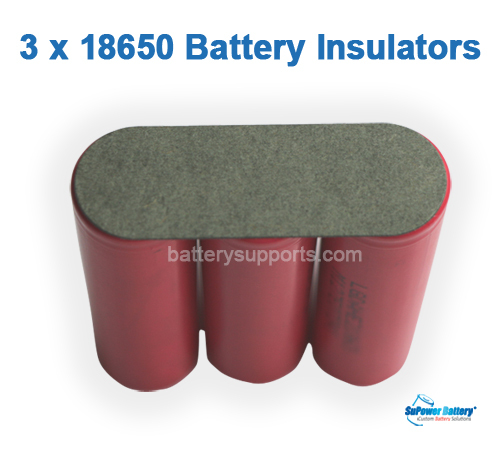 Rechargeable Battery cells can be connecting in Series or Parallel Connection to attain higher voltage or increase capacity for different application. Batteries connect in series will have higher voltage and Parallel connection will increase the total capacity. NI-CD / NI-MH batteries could only connect in Series, Lithium batteries could do both connections. When batteries connect in Series, charging voltage should be double for re-charge the battery pack. For example, with 2x Li-ion Batteries in Series connection, charging voltage should be 8.4V (4.2 x 2) for the 2S pack. And it is better to use a higher charging current charger to charge the Parallel battery packs with high capacity, it will greatly shorten the charging time and lower down the heating during charge. Safer and more efficient for use. There're many brand rechargeable batteries in the market showing different capacity. We may see some label with very high capacity but the battery actually with very short run time. If the battery label with very high capacity but in an extremely low price, it may possibly a fake capacity. Battery capacity could only test by professional equipment to get a real capacity, but for Residential users, its impossible to buy an expensive equipment to test. And some buyers will use simple charger tester to test battery capacity, such device normally with low acurracy while test result is not accurate. A very simple way to find out if the battery is fake capacity, you may compare the label capacity with some famous brand battery. 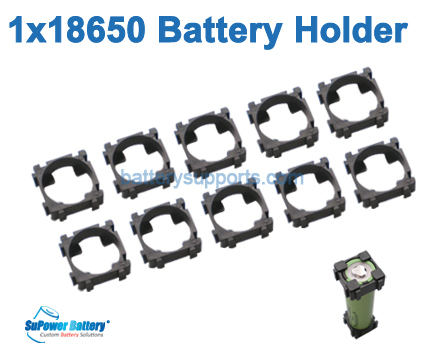 For example, the standard 18650 battery with the highest capacity in the market is Japanese brand Panasonic NCR18650B with 3400mAh with resale price about $10.00 per cell, if some no name battery label with 5000mAh cost only $2-3 per cell, then we have to say its fake capacity. 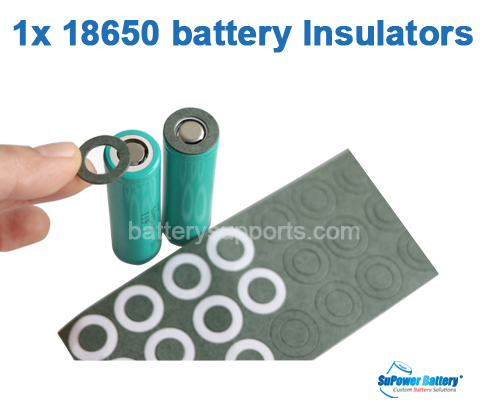 The common capacity for 18650 Li-ion battery with normally 2200mAh. Sanyo, Sony, Samsung could do 2600mAh, and Panasonic brand could do 2900mAh, 3100mAh even 3400mAh. High drain battery discharge in high current rate normally with capacity of 1300mAh, 1500mAh or even 2000mAh. Panasonic brand could also do 10A discharge cell with 2900mAh. You may gather battery informationfrom from professional famous companies website then do some comparison. If price is acceptable, we will advise you to buy only industrial production good brand batteries to avoid fake capacity. First of all, no matter for single battery cells or rechargeable battery packs, it is very important to use correct charging voltage to re-charge the battery. If the charging voltage is too much higher than the correct parameter, it will be very easy to get over-charged on batteries. Secondly, a BMS (Battery management System) / PCB (Protection Circuit Board) is necessary to embed on a battery pack to avoid over-charged / over-discharged. Standard batteries with small discharge current, it will avoid over-discharge by using with a built-in PCB. High Drain batteries discharge in high power rate, if you don’t have an available PCB for the high drain batteries, then, once you feel the battery is not so powerful, you should stop discharging it otherwise it is very easy to get over-discharged. Don’t keep discharge the battery while it is with exhausted power as this will shorten battery life. Use a balance charger to re-charge the high drain battery pack if there’s no built-in PCB that could help to avoid over-charged and keep consistence on batteries. Rechargeable Battery can be repeatedly recycling but it will have fading capacity by time, performance will also deteriorate with usage. When the battery being used for long time with a fading capacity, it performs with shorter discharge time. Lithium Batteries have a longer life comparing with NI-CD / NI-MH batteries. High Drain Batteries discharge with high power rate that will have shorter life than standard Lithium Batteries. Batteries are rated by their capacity, or the quantity of electricity delivered. Good quality high capacity battery is usually expressed with longer life and excellent consistence, that’s why it is so important to use new good battery cells with full capacity on making packs. When the batteries in your electronic device finally give out, it is not a good idea to mix new battery with used batteries. Mix different brand, different spec., fresh and half-used ( or dead ) battery in use can cause harm to the batteries as well as the device. When mix a new battery at full capacity and a used battery at a diminished capacity, the high voltage new battery will start charging the low voltage batteries, this will kill the new battery in short time, often permanent. Even if all the new / old batteries charged to the same voltage and seems normal in used, the new battery will not functioning at its maximum potential as the old battery is dragging it down, this will greatly shorten the new battery’s life and will have safety problem. It is a only correct way to replace each and every battery from the same production batch. Real capacity battery with good consistence will maximize battery performance and make your device with longer run time. At least fully charged the battery every 3 months even the batteries are not used. Store the battery in a cool dry place. Humid environment with high temperature may cause rusty on battery caps and shorten battery life. Remove battery from the equipment and make each battery with well insulated before long time storage. Do not charge battery under high temperature, this is not safe. Only charge in house with normal room temperature. Never put the batteries into water or fire. Charge the battery with correct parameter and qualified charger only. Do not reverse the battery poles. Do not short-circuit the battery poles. Do not punch or trample the battery pack. Store the batteries in a cool dry place. After long term storage, battery pack should be charged before use.